Maryland Nanny Agency Providing Career Caregivers! Maryland Nannies admire Natani’s devotion to children! Maryland Nanny Agencies appreciate MaryLou’s extensive experience! 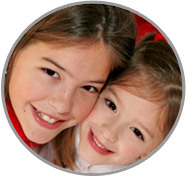 Nannies in Maryland with Stephanie’s nurturing demeanor are highly valued! Nanny Agencies in Maryland appreciate Shannon’s hard work! Maryland Nanny Jobs can rely on Debra’s nurturing spirit to leave a positive impression on the children!